Ratings for the first two weeks of the 2019 season of Boxeo Telemundo are slightly down from where the series stood at the same point one year ago, but are also trending upward. The March 2 edition—which saw rising bantamweight contender Ricardo Espinoza score a 10th round knockout of Panama’s Ricardo Nunez live from Hollywood, Florida—pulled in an average of 350,000 viewers, according to Nielsen Media Research. Viewership dropped roughly 16% from a similarly slotted show last March. That telecast, headlined by series regular David Carmona in a knockout win over Jesus Iribe, averaged 416,000 viewers, which was the highest rated installment of the four-show spring season. On a positive front, the March 2 show was up 1% from the 2019 spring season premiere on Feburary 23, which averaged 347,000 viewers. 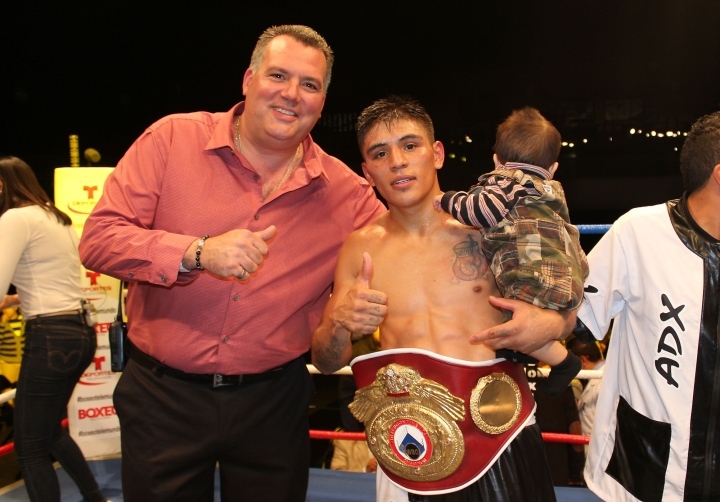 The 21-year old knockout artist from Tijuana made his series debut last August, knocking out another Telemundo favorite in Daniel Lozano atop a show which pulled in 435,000 viewers. The figure was in line with the past few summer seasons, which tend to produce the most favorable ratings. Last year’s spring season averaged 397,250 viewers per episode. The next two editions of the 2019 spring edition will need to make up some ground in order to improve on its current average of 348,500 viewers. Next up is a March 8 show in Mexico City topped by the rematch between two-time title challenger Saul “Baby” Juarez and local rival Mario Andrade. If it’s anything like its predecessor, the bout will figure to provide plenty of thrills in the ring as well and its telecast giving network executives plenty of reason to smile. The two fought to a draw in their previous meeting last August, atop a Telemundo show which 496,000 viewers, making it the most watched show of 2018 on the network. Summertime telecasts tend to produce the series' best ratings, with that telecast–for example—performing more than 20% better than the third installment of the 2018 spring season, up against which which this Friday's telecast will be measured.